These lenses are available only for pre-order. 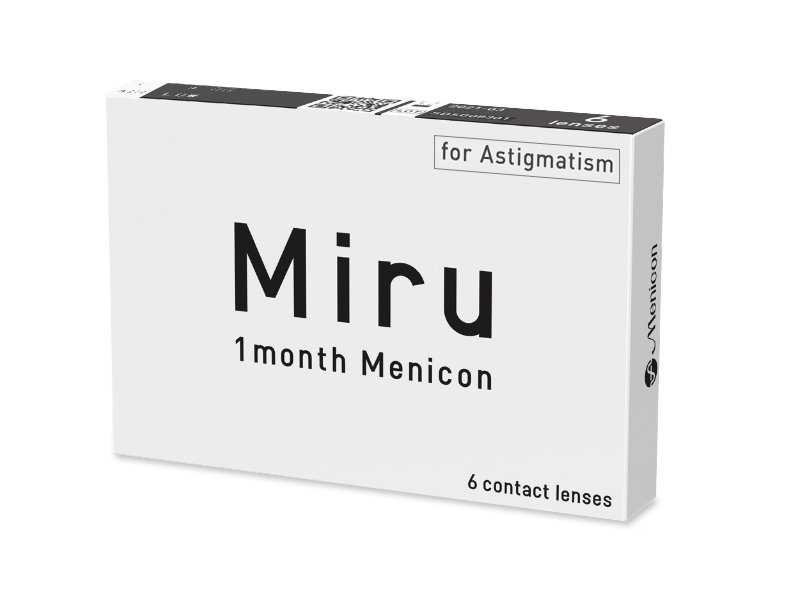 Miru 1 Month Menicon for Astigmatism are toric contact lenses suitable for anyone with astigmatism who prefers a monthly wearing schedule. 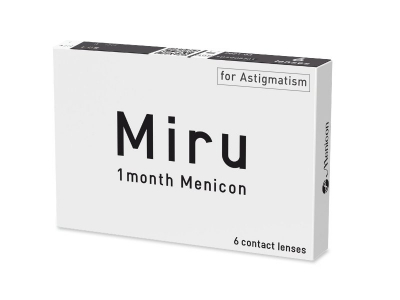 Each package contains 6 silicone-hydrogel contact lenses with a light tint for easy handling. The silicon-hydrogel material known as Asmofilcon A promotes an exceptionally high level of oxygen permeability, measured at 161 Dk/t. Menicon has patented the MeniSilk™ and Nanogloss™ technologies, which help create lenses with perfectly smooth surfaces that retain moisture throughout the wearing period. These technologies also help reduce the accumulation of lipid and protein deposits on the lenses, which means healthier, more hygienic lenses for your safety and comfort. 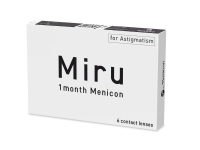 Miru 1 Month Menicon for Astigmatism contact lenses feature inside-out indicators to help facilitate easier handling and application. The top of each lens is marked with a number 6 to indicate the correct position of the lens. Note: These lenses are available only for pre-order.